Chocolaterie Colbert is a small chocolaterie part of Hotel Colbert, located in Antananarivo. Since 2006 the tiny chocolate factory produces fine pralines and chocolate bars in the basement of Hotel Colbert. One head chef and four workers create 24 different types of pralines. The chocolate bars vary in the concentration of cocoa and are available with 70%, 65% or 38% cocoa, with or without nuts. All delights are handmade and sold on a small scale only in Hotel Colbert. 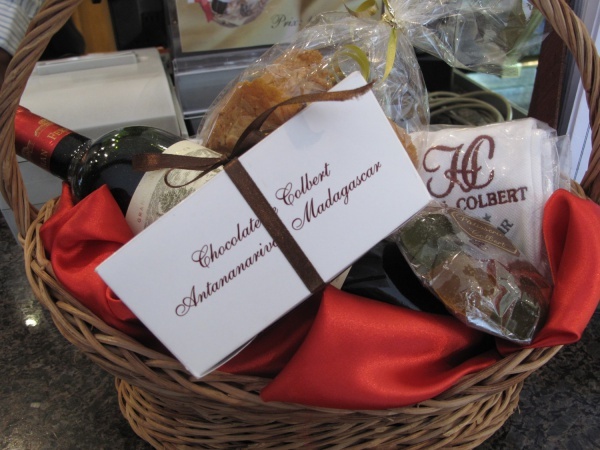 Chocolatier Colbert buys high quality chocolate from Chocolaterie Robert and Cinagra. This raw chocolate is heated up at 50°C to make it ready for production. The finished products are cooled down and thereafter stored in a 17°C chilled room before entering the shop. For special occasions, such as Christmas and Easter, shapes are used to create Santa Clauses and Easter Eggs.